My name is John Haverland and I am one of the pastors of Pukekohe Reformed Church. I have been married to my wife, Harriet, for over 30 years and we have four married children and five grandchildren. I love the pastoral, preaching and teaching work of the ministry and would not exchange it for anything else! My aim in preaching is to explain the Bible, making it clear, so that children, young people and those with English as a second language can understand it. I also enjoy teaching the Bible to individuals and groups. In my pastoral ministry I regularly visit members of the church and am glad to be involved in people’s lives. I was born in Christchurch and studied at Canterbury University. From an early age – about five or six – I felt a call to be a pastor and this remained with me through all my growing up years. In pursuing my theological training I gained degrees from the Reformed Theological College in Geelong, Australia, from Calvin Theological Seminary in Michigan, USA, and from Westminister Theological Seminary in California, USA, writing a book called Feed my Sheep: Preaching the Gospel in a Postmodern New Zealand Society. After serving churches in Bucklands Beach and Christchurch we moved to Pukekohe in 2004 to serve this church. We count it a great privilege to be here and are thankful to God for all his goodness to us in every way. My name is Graeme Zuidema and in March 2018, I was ordained as one of the pastors of Pukekohe Reformed Church to work alongside Pastor John Haverland. I have been married to my wife, Amanda, since 2006 and we have two children. I was born in Korumburra in the south of Victoria, Australia. During the course of my life I have always been blessed to know that Jesus is my Lord and Saviour. I have had the privilege of being brought up in a loving Christian home and up to the age of 23, I have been a part of the Christian Reformed Churches of Australia. In November 2004, I met Amanda in Foxton, New Zealand, and we married in 2006. Amanda is a born-and-bred-kiwi and so we have our own trans-Tasman rivalry, but we are truly thankful, united and convinced that the good news of the gospel of the Lord Jesus Christ is for all peoples, nations and languages. Before pursuing my theological training, I have worked in Timber and Hardware sales and we also began and ran a window cleaning business in Christchurch. We sold this business in 2012, so that I could serve a one-year ministry internship with the Reformed Church of Bishopdale. 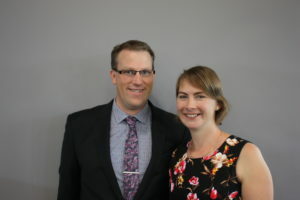 In 2013 we relocated to Geelong, Australia, in order that I could complete a four-year Bachelor of Theology and Ministry degree at the Reformed Theological College. My hobbies are varied, but first and foremost my family is my hobby. I love spending time with my wife and children; be it travelling, going on a bike ride, tramp (hike), playing games or just watching a movie together. A distant second is playing golf and an enjoyable third is watching Australian Rules Football. Amanda and I see it as a real privilege to serve the Lord here in Pukekohe and we are grateful that we can be used by God to advance his kingdom for the glory of his great name. 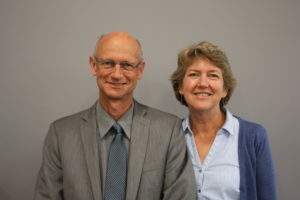 Feel free to contact both of us at minister@pukekohe.rcnz.org.nz if you would like to discuss what is happening in your life or if you have any questions about the Christian faith or our church.